On Saturday, John S. Williams Jr. and his children took a cab from Philadelphia to Uniontown, Pa., to surprise his fiancee, but the person who got the biggest surprise was the cabbie, who officials say had driven some 300 miles, only to be stiffed on the fare. According to the Pittsburgh Tribune-Review, Williams, 35, told cabdriver Mohammed Uddin that he didn’t have the $749 fare, so Uddin called the police. “I asked Williams to pay the driver for the fare, and he stated he did not have the money and that his credit card was maxed out for the day,” Patrolman Michael Bittner wrote in the police report viewed by the Tribune-Review. Police arrested Williams. The woman Williams was going to see, who was not identified by the Tribune-Review, reportedly told police that the visit was unexpected. 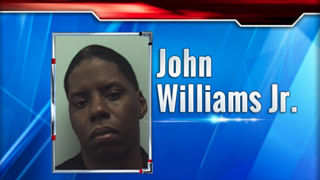 Williams’ children were left with her when he was taken to jail. “Williams was arraigned before District Judge Mike Defino Jr. of Redstone and placed in the Fayette County Jail in lieu of $2,500 bail. He faces a July 7 preliminary hearing,” the Tribune-Review reports.